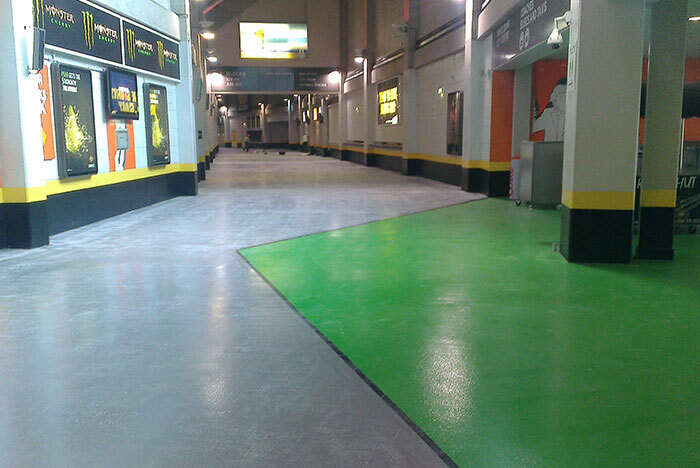 Resin flooring is hard wearing, highly durable and versatile. Resin flooring has inherent benefits for a wide range of uses, and especially for general industrial projects where you need a hard wearing, easy to clean surface. 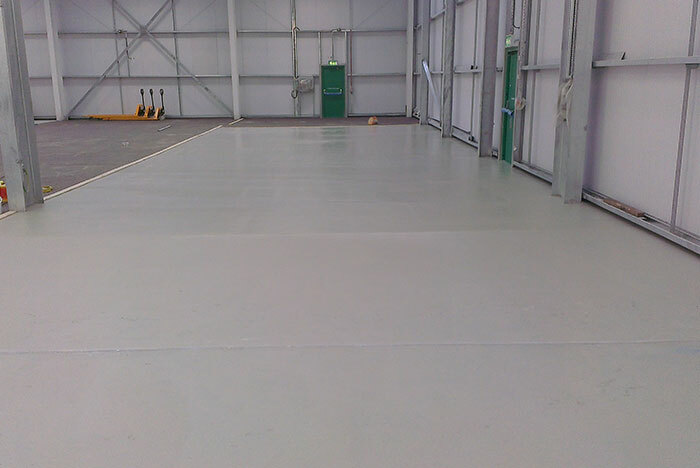 An industrial resin can be used indoors and outside, and the poured resin means the finished floor can be very flat and free from the trip hazards caused by the edges of traditional floor coverings. Resin can also be given a range of extra properties, depending on what you need, and this includes primer layers beneath the resin to protect against damp or oil. It can be installed on almost any existing surface – we devise bespoke floor preparation to remove any unwanted previous coverings and to roughen the exposed surface so the resin can grip it properly. 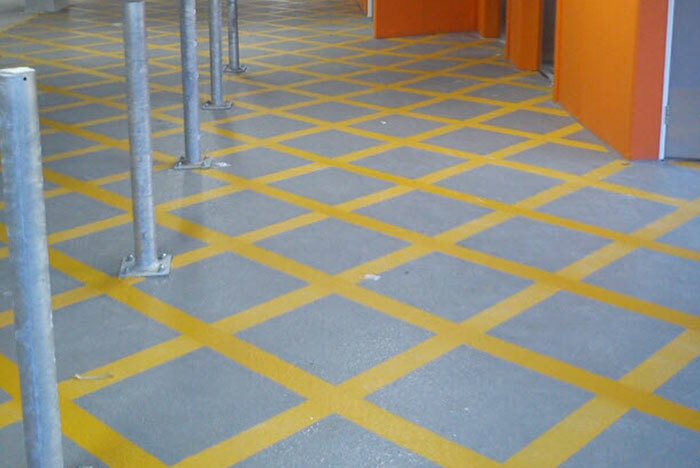 Coloured resins and epoxy paints can be used to add line markings, cross hatch hazardous areas and so on, while graphics like company logos, lettering and numerals, and car park arrows can all be added too. And with the addition of aggregates to the top surface, anti-slip flooring can be put in place that delivers extra grip in wet conditions or on slopes. 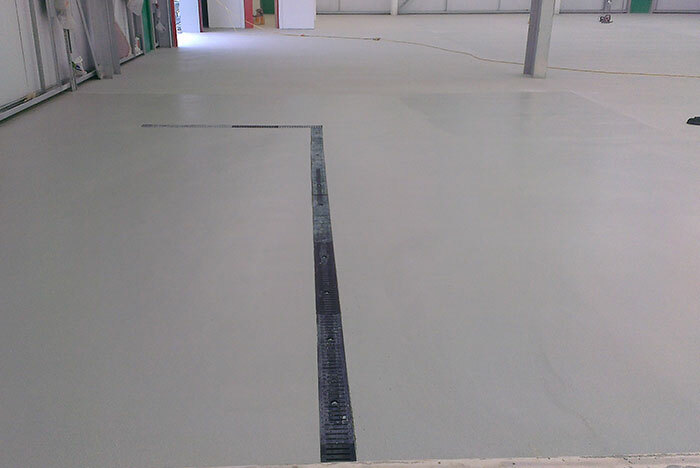 The pages below give an overview of some of the general types of resin we can install – or for a particular industry or sector, check our Industrial Flooring pages too. Anti static flooring has special properties to prevent static charges from building up, and so avoids electric shocks and potential damage to sensitive electronic equipment. Anti slip flooring includes aggregates in the resin mix, giving the finished floor surface a more textured effect to offer more grip under foot and for vehicle tyre treads. Seamless hygienic flooring for use in laboratories, healthcare premises and anywhere with a specific need for high levels of hygiene. 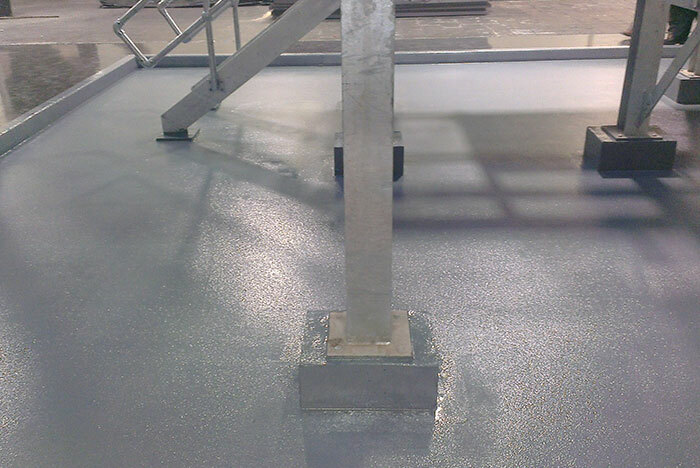 Epoxy floor paints are a hard wearing way to add colour, lettering and line markings to finished resin floors for direction, demarcation and other purposes. 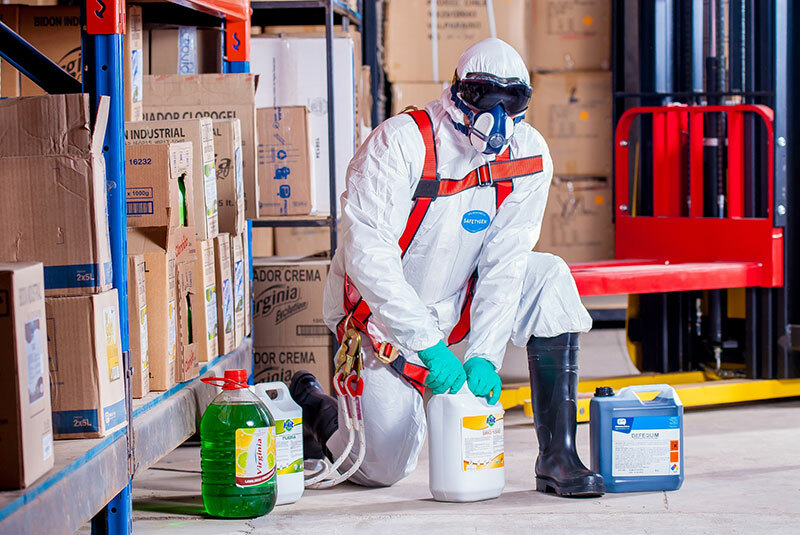 Extra protection for chemical resistant flooring capable of withstanding spills in laboratories, engineering facilities and other such premises. High contrast line marking for instantly visible car parking bays, no-go cross hatched zones and other general demarcation purposes. The flooring specialists you need.